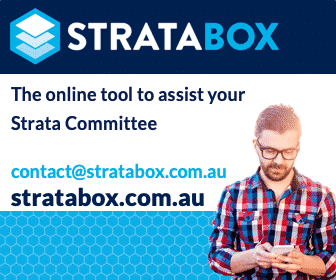 You are here: Home / Bylaws / Bylaws NSW / NSW: Q&A Is Strata Schemes Management Act 2015 for Residential Only? This article about the Strata Schemes Management Act 2015 has been supplied and written by Allison Benson, Kerin Benson Lawyers. Question: Is the Strata Schemes Management Act 2015 only for residential schemes or do all Parts of the Act apply to all types of strata scheme developments such as residential, commercial, mixed use, industrial? If this general question cannot be answered there is something wrong with this Act. Have spoken to 3 people at Fair Trading, 2 have answered it can be used for commercial and 1 for residential only. Surely it’s just a simple yes or no question which must have come up before. Is the Strata Schemes Management Act 2015 for residential only or do all Parts of the Act apply to all types of strata scheme developments such as residential, commercial, mixed use, industrial? Fair Trading has advised that Part 11 – Building Defects of the Act can only be applied to residential building Strata developments and not industrial strata developments. Is it correct that Parts of this Act are only applicable to Residential or is Clause 191 of the Act applicable to all Strata developments? Answer: The Act covers all strata schemes be they residential, commercial, mixed use, industrial etc. The Strata Schemes Management Act 2015 covers all strata schemes be they residential, commercial, mixed use, industrial etc. What the person may be referring to is whether the model by-laws under schedule 2 of the Strata Schemes Management Regulations 2016 are for residential only. They are an update on the residential model by-laws from the 2010 regulations. The 2010 regulations also contained model by-laws for other types of schemes such as industrial, commercial etc. There are no specific model by-laws for different types of schemes in the 2016 regulations so they can be used for all types of schemes but they may need to be tailored for commercial, industrial etc schemes. The lot owner is correct. Part 11 of Strata Schemes Management Act 2015 relates to a building defect regime for residential buildings. Visit our Strata By-Laws and Legislation OR Strata Legislation NSW pages. I cannot understand how a commercial lot, tho paying a little more in levies can make claims on the strata. They are a profit making lot, unlike ordinary residents, who now need permission to use their home as Airbnb for instance. There are 16 outside lights left on from dusk till dawn, they use a toilet in our common area, by gaining access from the shop, which having 60 seats should have its own facilities. We pay for rubbish re oval from the shops along with our own. Sure a restaurant should pay for their own. Windows got broken in the two shops and this made a claim on our insurance. Surely commercial premises should have their own insurance as shops on the streets do.